The article,published July 15 on the website Spring Happenings, warned that bus service would “give criminals an easy way in and out” of the north Harris County suburb. Yet the perception persists that mass transit is the first step in the ruination of a community. It’s an attitude that could complicate the challenge of meeting the mobility needs of the vast, rapidly growing Houston region. 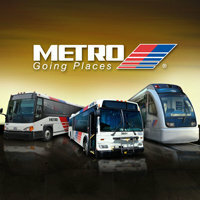 The Metropolitan Transit Authority is holding public meetings to gather input on a new regional transit plan. Metro officials say the plan is needed to prioritize options for adding bus and rail service, along with van pools and potentially bus-only lanes or high-occupancy toll lanes. More than 300 people showed up Tuesday night at a Metro meeting in Spring. My colleague Dug Begley, who attended, said many residents expressed the same concerns as those reflected in the Spring Happenings article. Notwithstanding the concern on the near north side, suburbs are where opposition to mass transit seems to find its fullest expression. Transit researcher Todd Litman has an idea about why this is the case. “Automobile dependency has been used for generations as a moat to keep poor people away from certain areas,” said Litman, the founder and executive director of the Victoria Transport Policy Institute, an independent research organization. Crimes involving vehicles – car thefts, vandalism, road-rage violence – are far more common than those associated with public transportation, Litman said. Imagine the reception a campaign to keep cars out of a neighborhood would receive in Houston. Nonsequieteuse says what needs to be said about this. I’ll just add one thing, which is that if the people of Spring are that concerned about evildoers coming in from the outside world and defiling their pristine community, then they’re not thinking big enough. If they really want to defend their borders, they’ll need to petition TxDOT and HCTRA to tear up the exits to Spring from I-45, the Hardy Toll Road, and the Grand Parkway. I mean, that’s how everyone gets around in these parts, and that includes the bad guys as well as they good guys. If Spring wants to isolate itself, then let it isolate itself. Just as long as there are no half measures employed, that’s all I’m saying. The Chron’s Newswatch blog had a post the other day showing population changes in different ethnic groups for a number of Houston suburbs between 2000 and 2010. It was done as a chart, and while it was a very nice chart, I’m a numbers guy, not a pictures guy. So I translated it all into something that made sense to me, and here it is. Please note that the individual totals may not sum up exactly because of rounding. Charts are nice, but I don’t think you can fully appreciate the huge scope of some of these changes without seeing numbers. Hope it’s as helpful to you as it was to me. I’ve got to agree with Stace here: Why should anyone in Houston care what some outfit that’s based in Spring thinks about anything related to Houston politics or policies? Last I checked, the citizens of Spring don’t vote in Houston elections or pay Houston property taxes. Some of them may pay sales taxes in Houston, which would put them on roughly the same footing as the undocumented immigrants this particular outfit is so worked up about. Beyond that, I’ll give these guys the same advice I give other non-residents who want to tell us how to run things: Move here and run for Mayor yourself. Until then, who cares what you think?